Please note - comments are disabled for most of my posts on here but you can contact me using the contact form (no marketers or sales people please!) - click here. If you wish to comment after seeing the whole video tutorial, you can talk to me by leaving a comment on my YouTube channel. It\'s much easier keeping the comments in one place. So when I was thinking about craft with toilet paper rolls, I was thinking about something more sophisticated than a cute bunny. If you want to jump straight to my video click here. Not that there is anything wrong with cute bunnies made from toilet roll tubes! Just not my thing unless the grandchildren are here of course. I didn\'t have to think very long about what craft with toilet roll tubes I could design; an idea hit me very quickly once I got thinking. It had to be fun, wearable and eyecatching - so I decided to make a statement necklace. 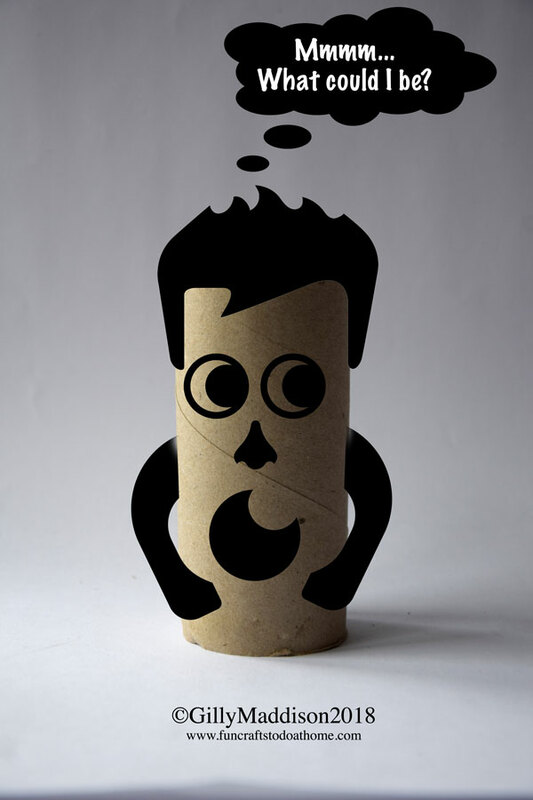 When people craft with toilet paper rolls, they quite often seem to create the craft item around the shape of the tube as it is. What if I tried to create something completely different so no one would even guess the newly crafted item had ever been a toilet roll tube. So that is what I did I altered the toilet roll in such a way, there was no evidence of it's original use. And it was fun making it work! I did try various ways of getting to the final creation but the method you will see in the YouTube video was the method that worked the best, even though it may seem like there would be better ways. For me, this was the easiest method. Inspired by some of the supplies and tools used in my latest video - anything not on this list is already there! Visit my Amazon page to find these and many more items the sane or similar to those used in my crfat videos. If you want to make your own fabulous statement necklace using a simple throwaway toilet roll tube, watch the full video tutorial on YouTube. In the video, I take you step by step through the process from start to finish. And if you need help sourcing the supplies or tools I use, check out my Amazon page. You will find lots of handpicked items to use in your crafts. And don't forget the full video of how to craft with toilet paper rolls is here. So if you have ever wondered how to create a really spectacular craft with toilet paper rolls - now you know! Previous Previous post: Craft Supplies In Your Trash – Get Them Out and Use Them! Next Next post: Craft Printables For Unique Creative Ideas – Make Cool DIY Necklaces From These Craft Printables & Cardboard!